If you're serious about making a solid commitment to a muscle-building program, you need to be very careful of who you take advice from. 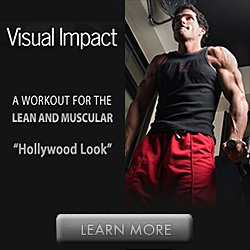 Bodybuilding and fitness is literally a multi-billion dollar industry with new websites popping up every single day. Many of the so-called "experts" out there really don't have a clue of what they're talking about and are only motivated by pushing expensive pills, powders and "miracle programs" on you that you don't really need. 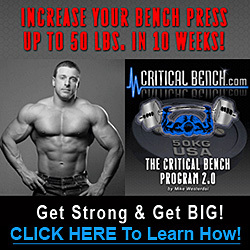 If you don't watch your step you may end up falling for some fatal muscle-building pitfalls that will literally destroy your gains and prevent you from ever achieving the impressive, muscular physique you desire. In this article I'm going to expose 4 very common muscle-building myths in order to keep you on the proper path to the mind-blowing muscle and strength gains you deserve. Myth #1: In order to build muscle, you must achieve a "pump" during your workout. The greater the pump you achieve, the more muscle you will build. For those of you who are just starting out, a "pump" is the feeling that you get as blood becomes trapped inside the muscle tissue when you train with weights. The muscles will swell up and leave your body feeling bigger, tighter, stronger and more powerful. While a pump does feel fantastic, it has very little, if anything to do with properly stimulating your muscles to grow. A pump is simply the result of increased bloodflow to the muscle tissue and is certainly not indicative of a successful workout. A successful workout should only be gauged by the concept of progression. If you were able to lift more weight or perform more reps than you did in the previous week, then you did your job. This one goes back to the old days when people described bodybuilders as being "muscle bound" and "bulky". Contrary to what you may think, building a significant amount of lean muscle mass will actually speed you up rather than slow you down. Muscles are responsible for every movement that your body makes, from running to jumping to throwing. The bottom line is that the stronger a muscle is, the more force it can apply. Having stronger, more muscular legs means increased foot speed, just as having stronger and more muscular shoulders means the ability to throw farther. Strong muscles are able muscles, not the other way around. While using good form in the gym is always important, obsessing over perfect form is an entirely different matter. If you are always attempting to perform every exercise using flawless, textbook form, you will actually increase your chances of injury and simultaneously decrease the total amount of muscle stimulation you can achieve. Remember, we are not robots! It's very important that you always move naturally when you exercise. This could mean adding a very slight sway in your back when you perform bicep curls, or using a tiny bit of body momentum when executing barbell rows. Loosen yourself up a bit and move the way your body was meant to be moved. Obsessing over perfect form will actually work against you rather than for you. Myth #4: If you want your muscles to grow you must "feel the burn!" This is another huge misconception in the gym. The "burning" sensation that results from intense weight training is simply the result of lactic acid (a metabolic waste product) that is secreted inside the muscle tissue as you exercise. Increased levels of lactic acid have nothing to do with muscle growth and may actually slow down your gains rather than speed them up. You can limit lactic acid production by training in a lower rep range of 5-7, rather than the traditional range of 10 and above.